Today, access to the internet has opened a lot of new business opportunities for creative people. If you can create amazing, eye-catching content for the web, then you have a very good chance of becoming a successful web-entrepreneur, or webpreneur. Content is king, as they say. So it becomes vital to have a content creation strategy that actually works for you. 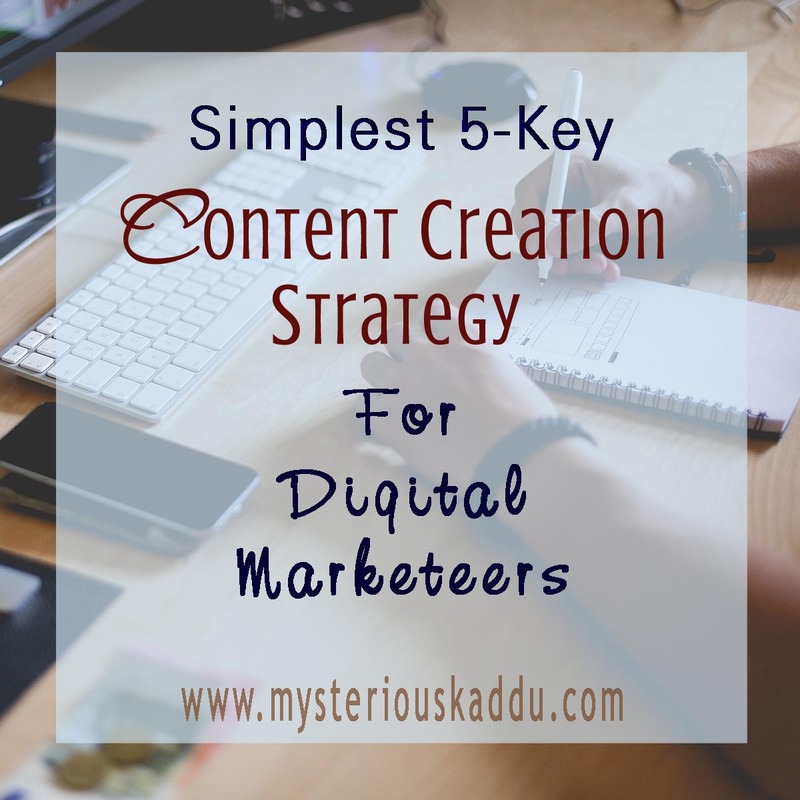 On the internet, you'll find a lot of people giving a lot of different tips and suggestions for developing your online content creation strategy. While it is all good advice, it can also be a bit overwhelming if you are a beginner. So, I like to keep it simple. Your online business could be through a blog, or through a Facebook page, or through Instagram, or YouTube, or whatever. It doesn't matter. The same key principles apply for creating great content, regardless of the medium. Now I have a blog. So I'm going to write this post from a blogger's point of view. But you can apply the same basic concepts of content creation for whichever platform you are on. 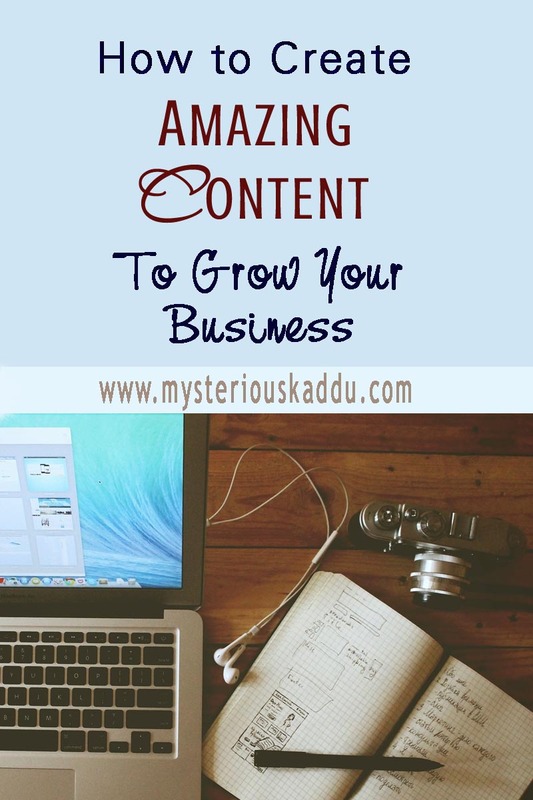 How to Create Amazing Content to Grow Your Business? Blogging is all about content. You have content to share, that’s why you have a blog. And if you have a blog, you naturally want readers. But readers stick around only when you share quality content. A smart blog header alone will not make people remember your blog if you don’t have good content in it as well. Even a catchy blog/domain name won’t work unless it’s backed up by genuine content. So how do you ensure that your content gives a positive experience to the reader? How do you create content that keeps your readers coming back for more? How do you design a strategy for creating content that converts your visitors into loyal readers? You do so by answering these five questions. Yupp, you read it right. That's all you need to do. These FIVE questions make up the world's simplest content creation strategy! Does it provide anything of worth to the reader? If it’s an information sharing post, then does it answer the reader’s questions? If it’s a personal post, then does it tell the reader a little bit more about you? Is it inspiring, informative, or interesting? In short, does it add value to the reader’s life in any way? Will the person who is looking for this content, be able to find it? Or even from your own blog. Have you linked to it from suitable pages? Have you provided a search option within your blog? In other words, is your blog content "Search Engine Optimized"? Does the layout of your post allow the reader to quickly scan through the important points? Is your content free from spelling mistakes and grammatical errors? Does the text stand out clearly against the background? Have you used headings, bullet points and paragraphs judiciously? Have you used a font that is easy to read? In general, shorter paragraphs, with enough spacing between them, go easier on the eyes. So does refraining from the use of all-caps. Have you been able to convey clearly what you intended? Or is there space for misunderstanding or confusion? Have you used words that CAN be understood by the people your content is meant for? In other words, is your content simple enough for your target audience? The keywords here are “clarity” and “simplicity”. By “original”, I don’t mean “first-time-creation” here. I mean the presentation style, the approach, the interpretation, the invisible extra quality that each person brings to the table by being him/herself. Even an old idea can be articulated in a new way, such that it provides a new perspective to the reader. Creating quality content requires passion and discipline. Content that reflects your enthusiasm and dedication compels the reader to come back. 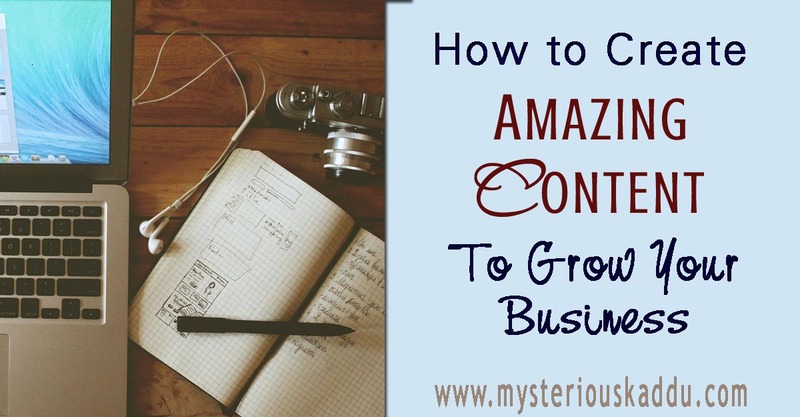 Yes, the design, branding and social media engagement are also important, but first, you need to work out an effective content creation strategy, that allows you to create amazing online content, day-after-day, to help you grow your business. What has been your experience regarding online content? What type of content attracts you towards a blog again and again? What type of content turns you off? What would you say about the content of this post? This is my third post for A to Z 2019. Very valid points..very helpful too...fonts, presentation, connect, every aspect is so important... If I may add, I think the Grammar is also very important...while I'm no grammar nazi, a great post with bad grammar does put me off! Agree with the points you have shared. Some blogs are so reader unfriendly that you close the blog tab in frustration. There's one layout on Blogger blogs which gets on my nerves. You want to scroll the page down and you just cant do it as some other blog widgets come in the way! Then white font on black background.... less said the better! Excellent advice and topic. I try to follow those guidelines. Great points there Chicky...I agree that content is king. I find that if content is something I relate to, I will be back. Design is great for first impressions but what keeps you there is content. That's quite a few tips that every blogger should follow :) Liked your post! @the little princess: Oh yes! Grammar is so important! And those blogs that have text in SMS/twitter shortcuts are so annoying too! Thanks, Sue. I'm glad the post resonated with you. Yes, that happens with me too. If I sit on a post for a couple of days, I end up editing it quite a bit before finally publishing it. @Shilpa: Oh don't even get me started on white text against black background! GOD!! And those techni-color blogs, remember? They were quite popular in 2009-10. Which blogger layout are you talking about? I think I haven't come across it yet. Absolutely, Molly! Content is king! Exactly, Sanch! Design might lure you in once, but only content will bring you there again! You are absolutely correct. Content matters a lot, rest is presentation and marketing i guess. Great points. Content is king, but the king has to well dressed or he will be abandoned by his people :) I like blogs with simple themes and great content, don't like colored fonts and varying font sizes in a post. Agree with all the points you mentioned. Good points, all. ☺ My aim is largely to entertain, but sometimes also to educate and enlighten. Informative post. While writing the blog, I don't think I remember most of this but I'm going to be mindful going forward. This is a very informative post. My main problem is that when I write a post I tend to be extremely explanatory. I have this fixation to try and make everything crystal clear to the reader. This tends to make my posts very long. Another problem is I find that taking SEO aspects like keywords into consideration while writing tends to hamper my flow of words and writing style. I am working on these issues now and trying to sort them out. Yes, So gud to find you. These 5 basic questions should surely help frame a good blogpost, Chicky. Love how you explained it so simply. So helpful! And very clearly organized, I like that you can get the gist by skimming or read more for further information. I found your post very useful. I am saving it for reference. I do keep few things in mind but thanks for additional points that we need to take care of! That gives a lot of food for thought. The 5 pointers should certainly be ticked off when creating content. Thanks for the nudge.